A new product (as of January 2018), my crib design is at least as nearly-indestructible as my bed frames. There are 92 mortise-and-tenon joints! 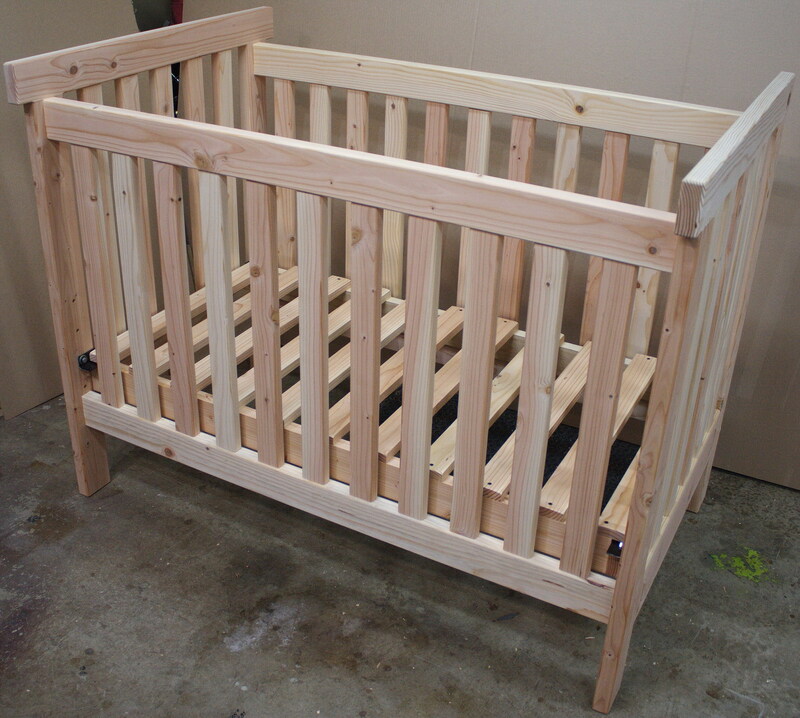 Like the bed frames, cribs come disassembled but putting one together is quite simple and the mattress platform can be adjusted to four different heights. 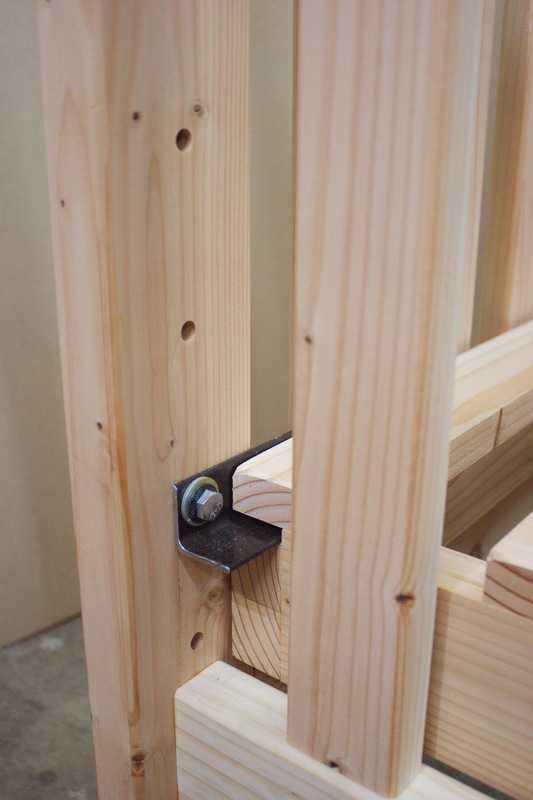 No bolts or screws are used to hold the crib together; “pegged tenon” joinery is used instead, which is stronger and much better-looking (not to mention fancier). 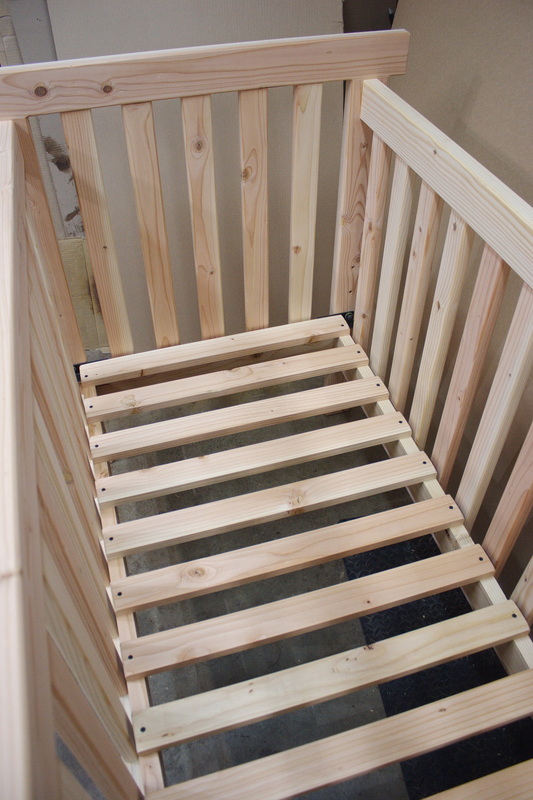 So far, I have built the one crib you see below, but there will be more. Please note that from now on, all cribs will be made of hardwoods; the first one was fir but, for various reasons, it was the only one I’ll make out of that wood. Like bed frames, I’ll make your crib out of any available domestic hardwood I can get and there are various customization options. I understand that the safety of your baby is of paramount importance, which is why I spent so much time designing this crib. It’s absurdly strong, the bolts that hold the platform on use patented Nord-lock washers so they won’t loosen, the screws holding the height adjustment brackets onto the platform are welded to the brackets (so they won’t back out), and the crib conforms to the various federal safety regulations. My cribs aren’t cheap but they are vastly better built than most of what’s out there.